IS: 12 x 12 ins. PS: 14 x 14 ins. 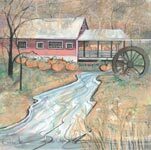 This is the first print in a series of Clifton Mill prints. Historic Clifton Mill, located in Clifton, OH, was built in 1802 and is one of the largest water powered grist mills still in existence. 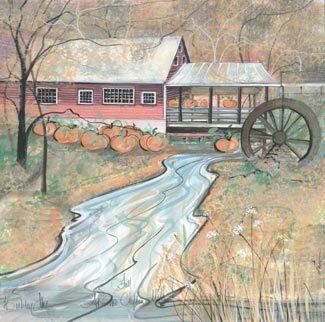 The giclée, Spring Comes to the Clifton Mill represents the third season in a series of seasonal Clifton Mill prints. There are two prints that represent the second season Winter Geese at the Clifton Mill and Winter Skaters at the Clifton Mill.